No Masquerade is Complete without a mask! 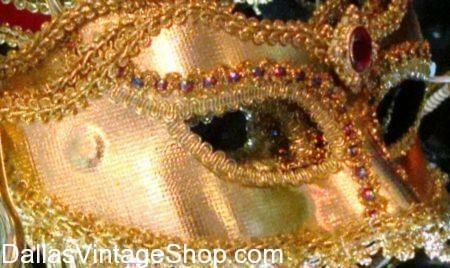 Why not check out this Dazzling Gold Baroque Masquerade Mask to go with any outfit. We have the Most beautiful and the largest collection of Masquerade & Mardi Gras Masks in Dallas. This entry is filed under Masquerade Ball. You can follow any responses to this entry through the RSS 2.0 feed. Both comments and pings are currently closed.